Experience Silversea cruises at it's best with their elegant all-suite, all-inclusive cruise ships. No wonder they are leaders in luxury cruising. 6* all inclusive, all suite with butler. 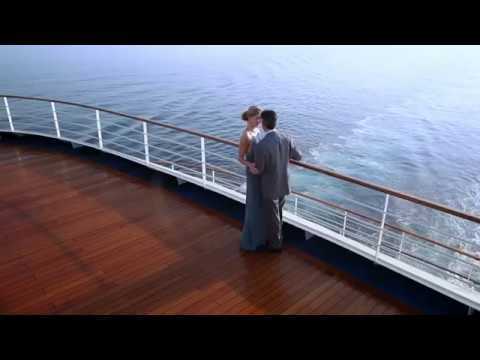 Silversea Cruises focus on the truly upmarket, luxurious end of cruising. The ships of the Silversea cruise line are purpose-built to meet and indeed exceed the demands of luxury clients. Silversea cruises are among the very best, as has been reflected in the numerous prestigious awards the line has received over the past several years. While most cruise ships keep getting bigger and bigger, there is something uniquely satisfying about the smaller ships. The intimacy, the close-knit camaraderie, and the excitement of exploring secluded, rarely seen harbours are where true adventure lies. That is why the family-owned Silversea Cruises continue to sail against the trends with intimate boutique ships that offer a meaningful and life-enriching travel experience for their guests. Distinct among luxury cruise lines, Silversea personalises a variety of "big-ship" activities with small-ship ambience. Choose to join the daily happenings or decide to do nothing at all. All suites have ocean views, and most include a private teak veranda. Regardless of the ship or suite category, all guests will be pampered with the personalised services of an attentive butler. Their ships are smaller, more intimate vessels compared to the bigger cruise companies. As they take fewer people, guests experience a friendlier, personalised level of service and enjoy the luxury of having more cabin space than with other lines. The smaller size of the vessels affords them entry into many destinations unsuitable for the larger more mainstream ships, making for some of the finest itineraries available. All suites offer superb ocean views and most come with their own veranda for maximum enjoyment. As you'd expect from Silversea Cruises, food onboard all four ships is superb and guests can dine where they want to when they want to and with whom they choose to. All ships have evening entertainment, a casino, spa and fitness centre. Though the ships are smaller, they don't skip on onboard facilities.